Ener-Tech is dedicated to professional service, installation and innovative engineering design for Mega Yachts, Pleasure, Commercial fishing and cargo boats. Ener-Tech offers the largest inventory "IN STOCK TODAY", in marine refrigeration, air conditioning parts, equipment, pumps and motor inventory in the Caribbean. 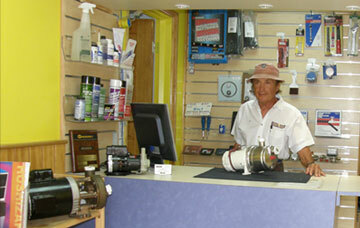 Our expert team is staffed by quality minded fully certified experienced technicians. Ener-Tech offers turn key individual attention and “Peace of Mind” to all our clients needs. Orders placed with us before 1100 hrs are in St. Barths by 1500hrs. Our location across from FedEx enables fast shipping. We walk your shipment to FedEx the counter. Our success in the service industry has been clearly demonstrated by our numerous repeat clients and astounding high referral rate, earning us satisfied clients one at a time. Ener-Tech on the French Side, Sandy Ground, St. Martin, F.W.I.